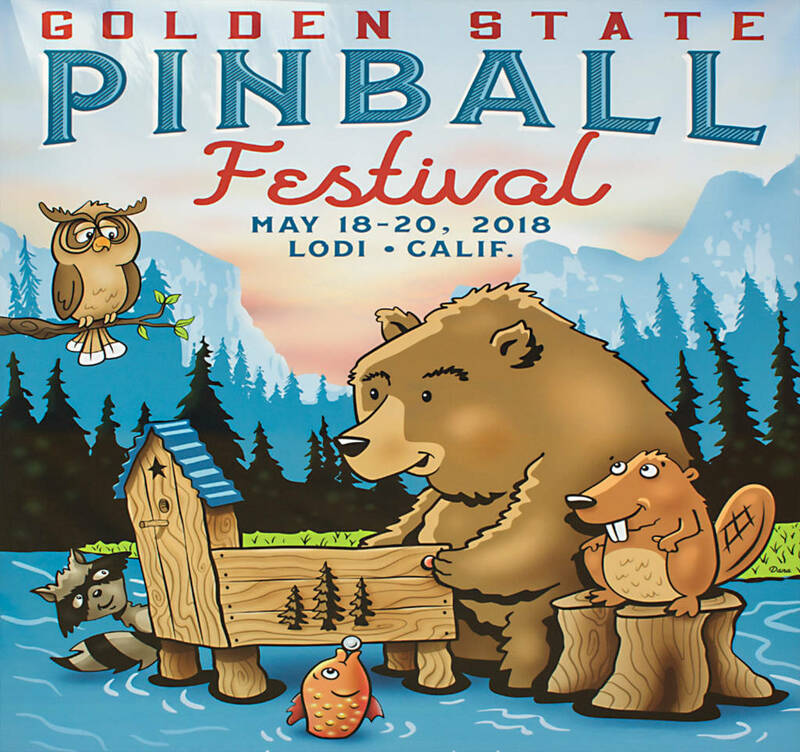 Welcome to our coverage of the very first Golden State Pinball Festival which is being held in the city of Lodi in northern California. The GSPF show poster designWe will be reporting across the show weekend and updating our reports whenever we can. In addition, we will be adding audio recordings of all the Pinball University talks and our exclusive video tour of the halls just as soon as possible. We’ll be back with much more from this new event right here at Pinball News.